Managing online training requires you to wear many hats. With the eLearning landscape rapidly evolving, training needs change, software upgrades, your learner's needs diversify - it’s difficult to keep up. Don’t worry. You don’t have to know every little thing to deliver effective training, however, it’s clever to pick the skills that are most vital to your organization’s eLearning success. We’ve collected a list of 5 essential skills we believe will help you cultivate great eLearning for you and your organization. If you’ve had an LMS (learning management system) for some time or you’ve just begun to implement one, it’s prudent to research its features and get to grips with it as best you can. LMSs can be robust so of course, you don’t need to know everything, but seeing what features are on offer could aid you in enhancing your eLearning. Messing around within your platform can also lead to you gaining useful insight into how you can deliver better training. Don’t be afraid to test features, play around and see how it can positively affect your eLearning delivery. Remember to lean on your Customer Success Specialist too! They can give you lots of handy tips, tricks, and share insights on how companies like yours save valuable time, money and optimize their LMS for training. Effective online training happens when you truly understand your audience. This means knowing their needs, their motivations, and their goals for completing online training. What type of training are my learners taking? How experienced are my learners with software like an LMS? Are they desktop or mobile learners? What are the results my learners expect when they complete their learning? Asking yourself important questions like this can give you a real insight into how your business should be shaping its online training. Another effective way to get to know your audience is simple - just ask them! Through your LMS you can collect data by surveying your learners or allowing them to review your courses. An easy step that gives you lots of invaluable insight. To deliver online training there are stakeholders, deadlines, items to schedule, learners to organize, content to create… the list goes on. Nurturing your organization skills can improve this process tremendously. We suggest getting a planning tool (Trello and Asana are two of our favs!) to simplify and manage your business’s learning process. Using the right tool you can plan your training and have all of your key players involved, keeping your training on schedule and successful. Depending on the type of training you deliver there are different skills and tactics you’ll need to focus on. Being aware of these will not only ensure that your learners are getting the most of the training, but also that you are delivering it correctly. If you’re delivering compliance training you need to be aware of state requirements, time frames for delivery, certification, and recertification. For customer product training, you need to know your customer's familiarity with your company/product, webinar support for live sessions, and reporting to determine your ROI. As you can see, both have different requirements, and knowing the ins and outs of your business’s training makes your eLearning much stronger. Successful online training is more than having a top-notch LMS and engaging content, you also have to learn how to market to your learners. Doing this correctly boosts your learners’ participation and boosts your success rates and ROI. Luckily, there are a number of useful strategies to get your learners engaged. 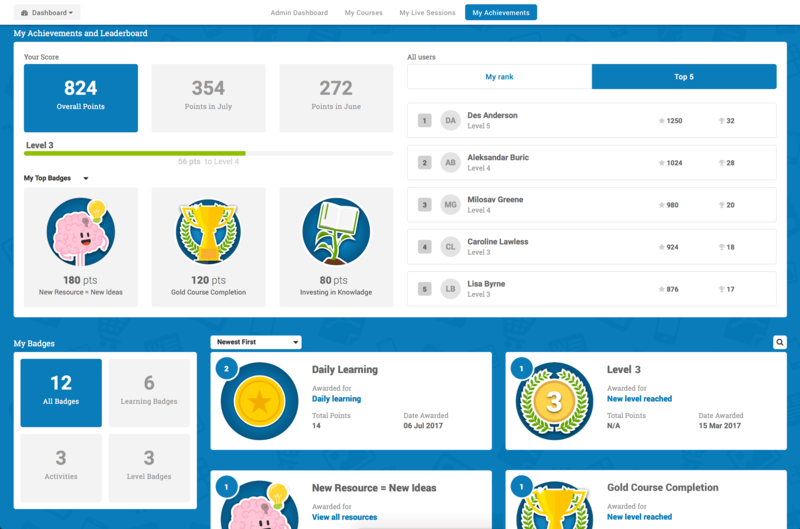 Most ubiquitous is gamification - points, badges, leaderboards and more. Adding these to your eLearning motivates your learners, drives healthy competition and importantly, emphasizes goals set. Valuable features including automatic enrollments and Learning Paths also boost engagement. They ensure your learners are taking the courses they need and always have reasons to come back to your LMS. Finally, you can make your courses stand out in your LMS with images, videos, text and the use of banners. These attract the eye and make your courses much more likely to be clicked and completed. Mastering eLearning may seem daunting, however, it’s all about focusing on the specific skills that can help you achieve Learning success.